June 16: 5 POWER Lessons From 5 Leaders Who Made History On This DAY! Getting access to the lessons from the inspirers is itself a boon. This article is a channel that connects you to this boon. Read on to relish your blessing. Among the 3 tenses of life we strive to make the future our life, a secured and a successful one. That is the only reason why we dream, aim and struggle. Don’t worry about your past; you don’t really have to bother and give importance to it as you cannot reframe or change your past. But you have the power to recreate it in the way how you want to by using your present situations and bringing the best of your today. The vegetable seller even if the previous day’s business was a complete loss due to heavy rains and even if the vegetables were spoiled due to weather, never stopped selling them today. He went back o the market with the same enthusiasm and hope and started his business. It is all because he knew that it is his today that makes his tomorrow a better one. If he stops his business, then how do you think he will live a comfortable life in the future? It is what you do now that decides what you get tomorrow. 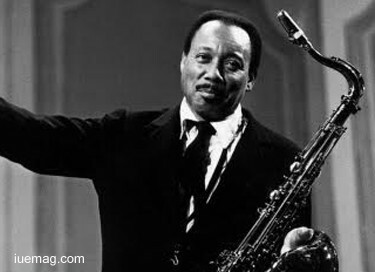 Lucky Thompson was a farsighted man who knew that his efforts would illuminate his name and story in his future. He started practicing saxophone fingerings on a broom handle before he got his first instrument. The American jazz tenor and soprano saxophonist was held responsible for nurturing his family as he had to look after his siblings when his mother died. That’s how he started by living his present to the fullest to make a better future. Achievements add a lot of weightage to your life, career and future. They also make you shine professionally. But remember, your status, position and awards are not permanent. You may rock at your workplace, but ultimately what matters is how great are you at deeds, how good are you at heart and how pure are you at your thoughts. Remember, you are remembered by the world till the very end for the way you are and for the way you lead your life. Approach people in a positive manner; convey what you want in a pleasing way. You can convince people only in the way how they can get convinced. Always use your heart, feelings and inner voice to make a positive mark on the society through your life. It is character which must be appealing which filter all the negative qualities in you and fills it up with positivity. A positive you is something that makes you a better person. 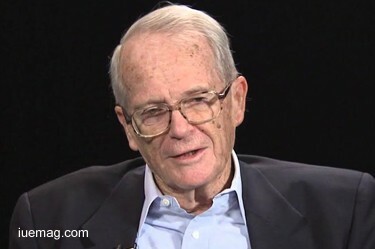 John Howard Griffin bettered his style of living life and also transformed the art of writing by using it as a platform for establishing racial equality. He was famous for all his works, attempts and efforts which contributed immensely to spread positivism. Serving the army, he developed skills and appreciations to reveal his bravery. Developing blindness during his life time, he truly stood as a winner through his positive attitude. World is full of positivity, positive people and supporting hands. You may find millions of wonderful lessons which can successfully provoke an optimistic thought in your life; you may get in touch with millions of achievers and read a lot about various inspiring personalities. but after learning about the real essence of life, after relating your life with the stories of all those who achieved, after getting yourselves exposed to the puddle of truth, it is wholly you who is supposed to take a step and give yourself, a push to tackle the twists and turns which life offers to you. You got to act and prove yourself with actions. Efforts play a very major role for you to bring success into your life. But, the sincere efforts must all be yours. You have to show sincerity, focus consistently and treat your dreams as not desires but responsibilities. John Tukey opened the door to invite success by learning from the world around. He was given enough encouragement and support but it was he who strived hard for development of the FFT algorithm. The mathematician was responsible for immense to carve his name sand highlight it on many of his ventures. 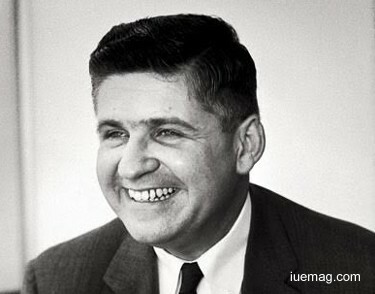 They include Tukey range test, the Tukey lambda distribution, the Tukey test of additivity, and the Teichmüller–Tukey lemma. It was his internal push that built him more than the external motivation. It is really difficult today, to guard your mind. When you are desperate about something, you will get it for sure. If you are passionate towards something, then there is nothing that can stop you from gaining what you want. Winning doesn’t only depend on your efforts and skills, it actually depends on how much important is the victory to you. The happiness that you get when you achieve is something which cannot be measured. It is priceless and ever-valued. Sometimes, you may have come across situations and instances where even after praying and craving to utter core, you will not get what you want. Rather than blaming the nature, the almighty and the society, look deep into yourself and talk to yourself. See where you stand in terms of how true you are to yourself, what is the place that you would give to the crowd you desired and how innocent, pure and truthful, your attempts are. 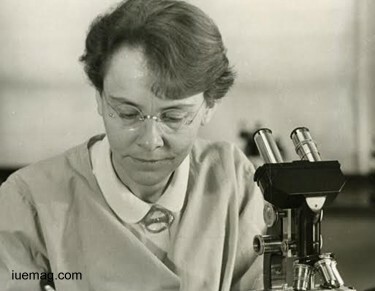 Barbara McClintock was a bold lady who was equally dedicated and determined. The American scientist and cytogeneticist was awarded the 1983 Nobel Prize in Physiology or Medicine for her sincere efforts and the thread of innocence in her thoughts. She started as a leader in the development of maize cytogenetics, which made a focal point in terms of her research. Her technique to visualize maize chromosomes was the success she earned as a result of her pure heart. Behind every victory, there is a hard struggle. Behind every smile, there is a million drops of tears. Whatever you go through, however you struggle and how much ever pain you bear, the ultimate win is not winning the victory cup or an award. Ultimately, your patience, positive attitude helps achieve and provides energy to strive and hunger to learn which actually wins. It is your personality that makes you a winner. Hence, it is very clear that beyond every feeling that scrolls in your heart, your one rigid optimistic vibe casts a spell of positivism and takes to his control, every attempt of yours to win. Let the challenges enter your life, let there be heavy penalties raised which you got to pay, let there be immense to be grieved at, don’t worry at all. Because life has planned something better for you who only demand your enthusiasm, learning attitude and positive quality. Natalia Goncharova lived positive and earned her success by not just smiling at problems but using her optimistic feel to solve them all to continue her journey. The Russian avant-garde artist, painter, costume designer, writer, illustrator, and set designer was associated with the World of Art movement. 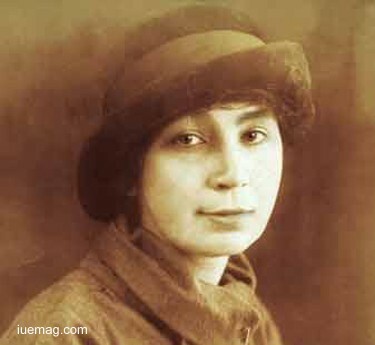 She and others formed Moscow's first radical independent exhibiting group, the Jack of Diamonds. Any facts, figures or references stated here are made by the author & don't reflect the endorsement of iU at all times unless otherwise drafted by official staff at iU. This article was first published here on 16th June 2017.